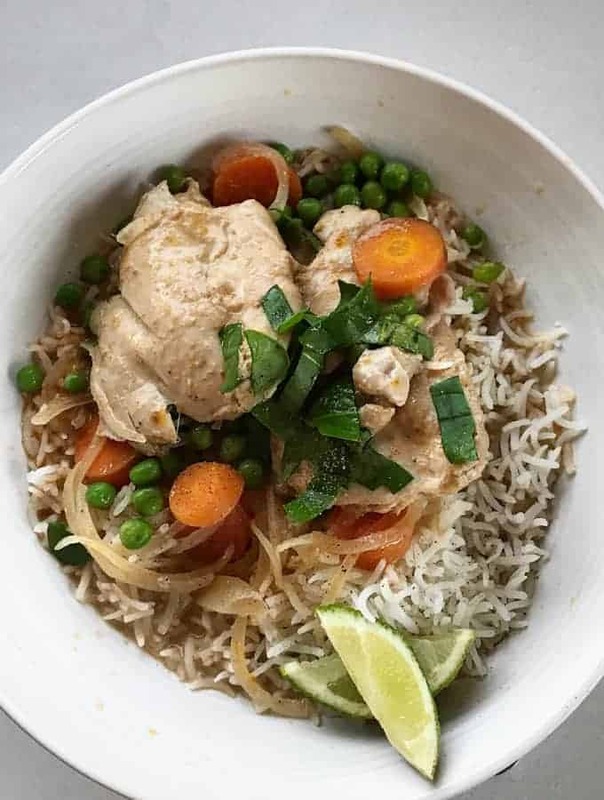 This Slow cooker Thai chicken curry is such an easy recipe, if you love curries you can’t go wrong. 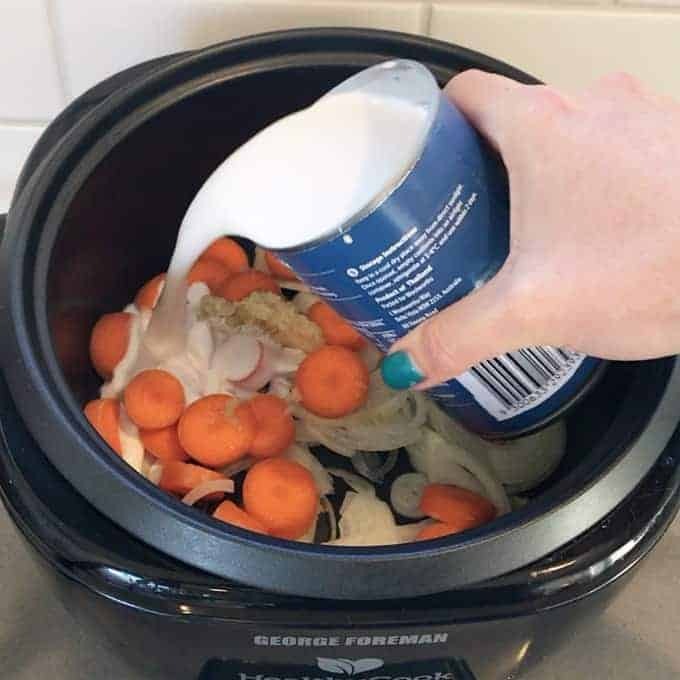 This recipe is so easy you just throw everything in to the slow cooker or crock pot and turn it onto high for 3 hours or low for 6 hours. You could add any green veggies to cook through at the end, I used peas because I always have them in the freezer. Any Thai curry paste would work, red, green, massaman, panang and you could add some chilli if you like your curries hot. 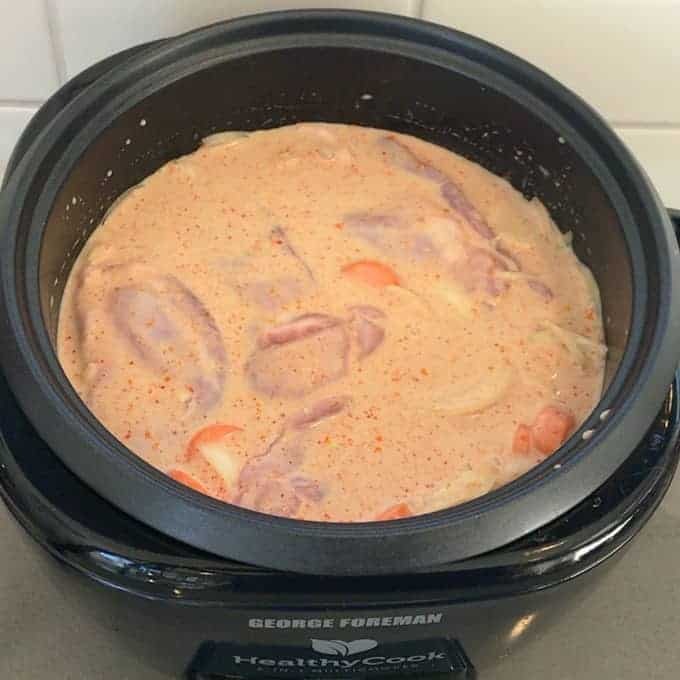 If you like you curries thicker you could add some cornflour to thicken it up. 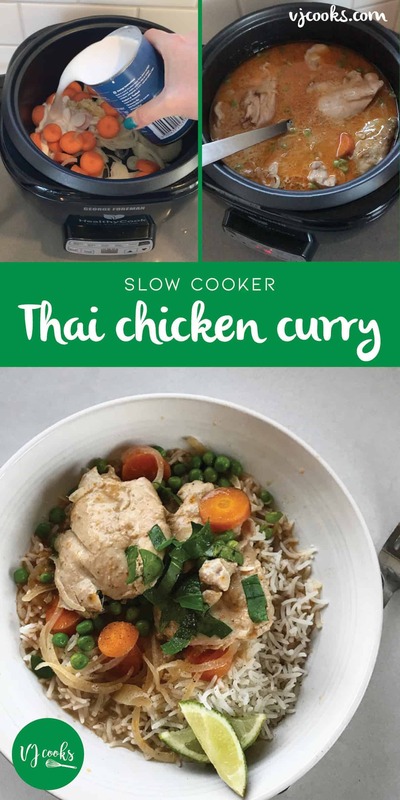 Check out this Slow cooker Thai chicken curry recipe below, if you want more slow cooker meals you will like my lamb shanks or whole chicken soup recipes. 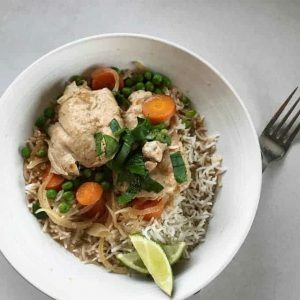 The perfect Thai chicken curry made in the slow cooker. 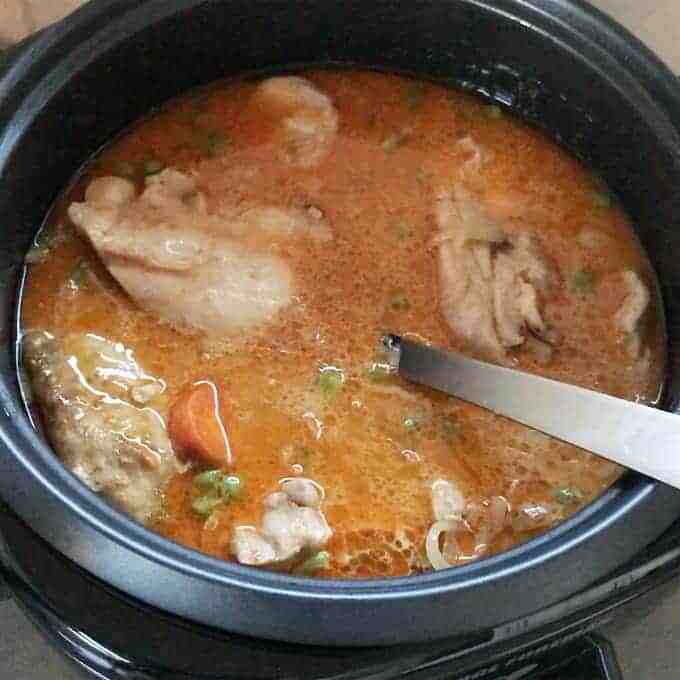 Add onion, carrots, garlic, coconut milk, fish sauce, curry paste and ginger to the slow cooker, then stir to combine. Cut chicken thighs in half and place into the sauce. Set slow cooker onto low for 8 hours or high for 4 hours. 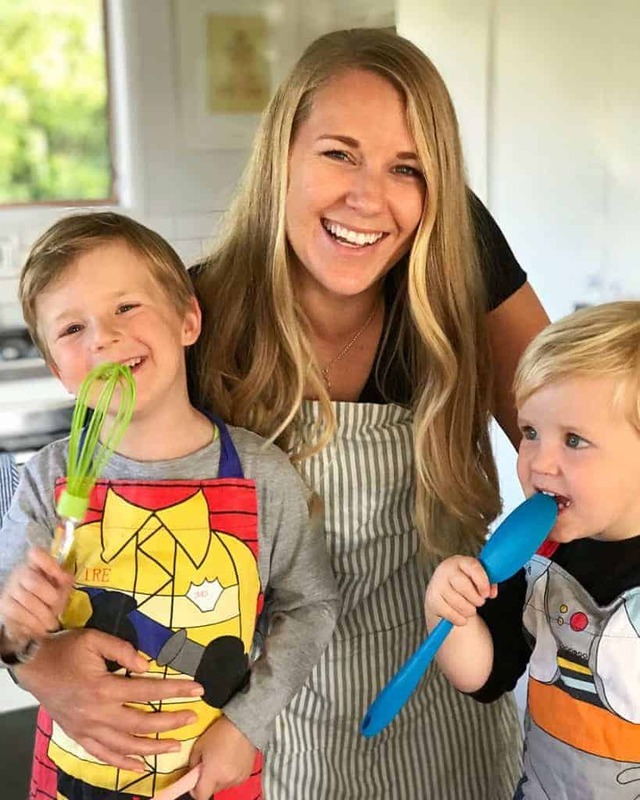 Stir once during cooking. 30 minutes before end time add lime and peas then let them cook through. Serve on top of rice and scatter over basil leaves. I used 2 Tbsp of mild massaman curry paste but any Thai curry paste would work: panang, green, red etc. Add 2-3 Tbsp depending on how hot you like it. You can also add chilli flakes at the start if you want the curry hotter.